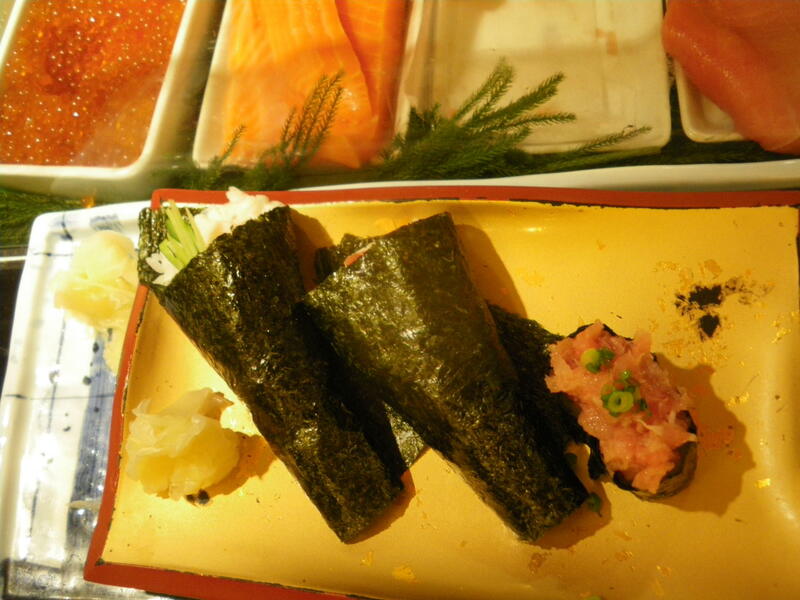 Friday’s Featured Food – Sushi in Tokyo, JAPAN – definitely not recommended!! 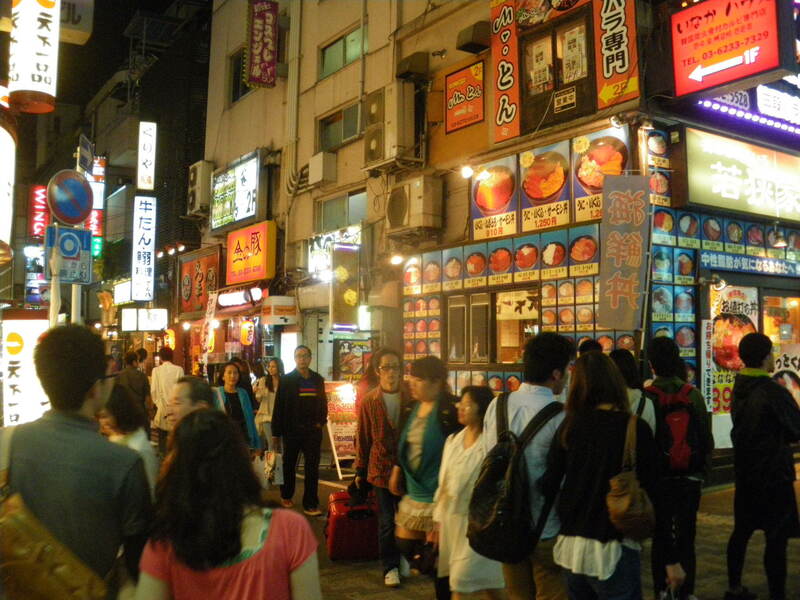 Downtown Shinjuku at night – lively, vibrant, a bit of sushi and exactly what you’d expect in Tokyo! 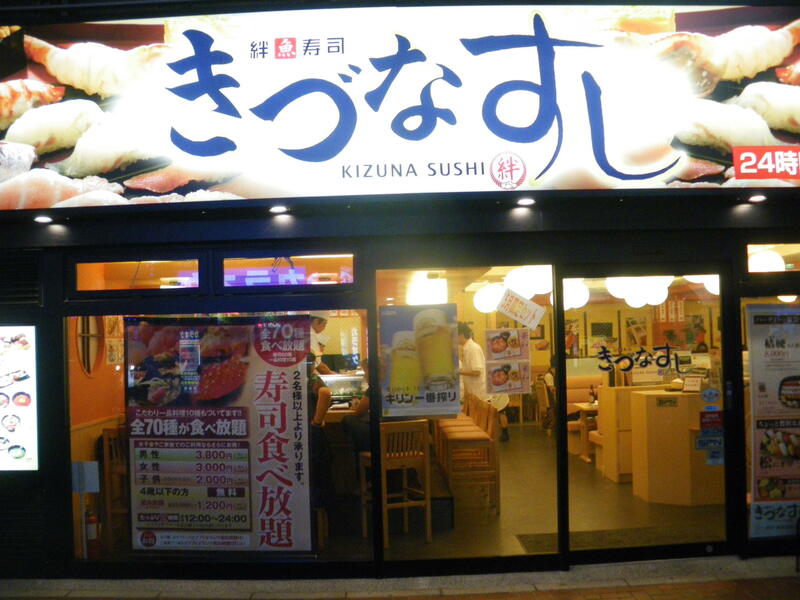 Kizuna Sushi – the restaurant where I first tried sushi in Japan. It’s in Shinjuku, Tokyo. We sat at the bar and decided on a pick and mix from the menu. OK this option might be more expensive, but I was happy to try a range of sushi and sashimi that I knew I would like (at least to some extent) and pay a bit more for it. I expected to love it – as the Japanese are meant to be good at it. And even the fact that I’m not a food lover or a sushi lover probably didn’t matter as this was Tokyo – so it was bound to be good! The menu at Kazuni Sushi Restaurant in Shinjuku, Tokyo, JAPAN. 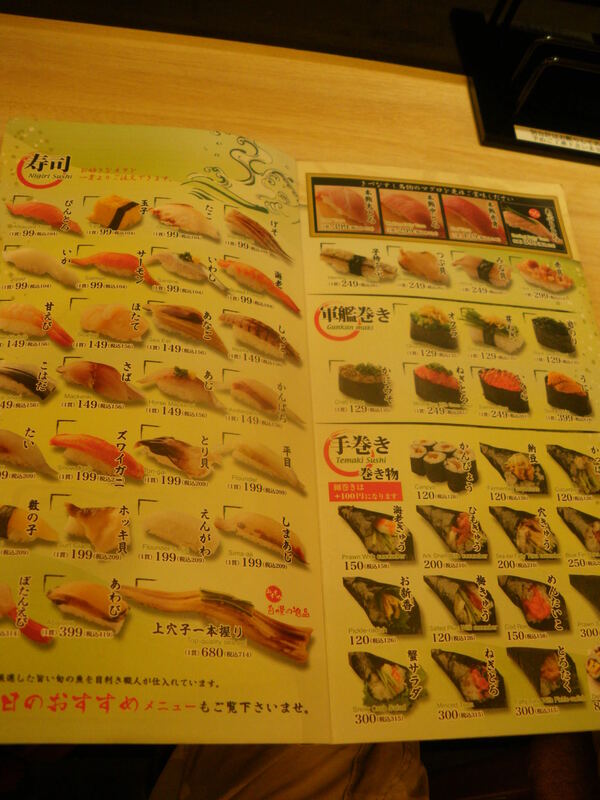 I settled for trying about 7 or 8 types of sushi and sashimi, including eel, crab and salmon. I know I have written A LOT of detailed posts on food and travel before, but on this one, I don’t see the need to elaborate. It was a bit of salmon attached to a bit of rice, mixed with some green wasabi and brown sauce. The crab was the same. The eel was the same. Some of the fish was merely sliced bits of fish. It was all typical Japanese style sushi, but it did nothing for my taste buds. In fact it was merely the experience of trying it in a busy restaurant in Tokyo that remains my most pleasing aspect of it. 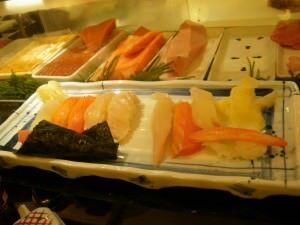 Amazing Japanese sushi and sashimi in Tokyo – actually it was bland and uninspiring! 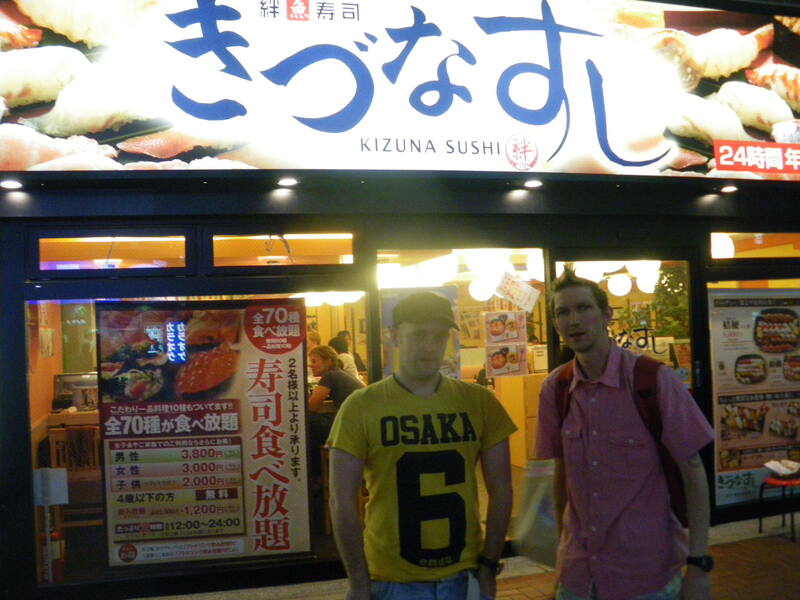 I had tried sushi in a host of places before including England, Argentina, Australia, Hong Kong and Italy. The only difference with the sushi I had in Tokyo that night was that it was in Japan. Apart from that I wasn’t bothered. I did it almost ironically “just to say I tried sushi and sashimi in Japan”, of which I’m glad I tried but I wasn’t fond of. Neil and I at Kizuna Sushi restaurant in Tokyo, JAPAN where I tried and was unimpressed by the sushi. Thanks to Yoshi for taking the photo! We left the sushi restaurant and headed back to Shibuya for an Irish Coffee. Would you believe that the Irish Coffee was better? Well it was. However this is my opinion remember and most people love Japan for sushi. I’m a cynic and to me sushi in Tokyo, Japan is just very over-rated! Friday’s Featured Food is a regular feature on Don’t Stop Living – a lifestyle of travel from a wandering Northern Irishman! This entry was posted in Asia, Daily Features, Destinations, Friday's Featured Food, Japan, Tokyo and tagged Argentina, HONG KONG, Japan, Shinjuku, Shinjuku Tokyo, Sushi, Tokyo, Travel. Bookmark the permalink. ← The Day I…Got Recognised For My Travel Blog! !